Adam Scott is heavily fancied to add to his impressive record in Asia when the European Tour touches down in Korea this week for the Ballantine’s Championship. 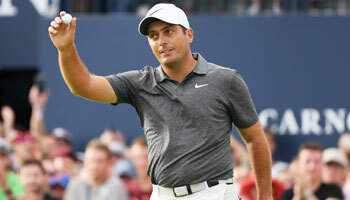 The Australian should be buoyed by three solid rounds at the Masters, culminating in a closing 66 – including an ace on the 16th – which gave him a share of eighth place at Augusta. Scott has been installed as 8/1 favourite to triumph at Blackstone Golf Club and put further gloss on a CV which already features tournament wins in Singapore, China and Qatar (twice). “It’s true that I’ve enjoyed playing in Asia over the years and I have had a certain amount of success which is great,” said the world number 12. Although defending champion Lee Westwood is missing following his Indonesian Masters win last week, Scott is right to flag up the strength of this year’s event. England’s Ian Poulter and Paul Casey, home favourite YE Yang, Open champion Darren Clarke and Ryder Cup legend Miguel Angel Jimenez are all included in a top-notch field. Poulter merits particular interest as he has an excellent record in Asia (winning the 2009 Singapore Open and 2010 Hong Kong Open) and looks a decent punt to land the title at odds of 14/1. 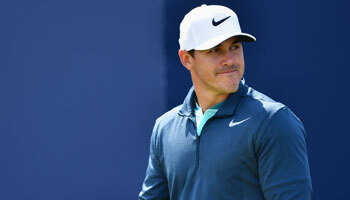 Meanwhile, Casey (40/1) will be looking for a strong showing as his return from injury continues, while the locals will be desperate former USPGA champion Yang to prevail at odds of 22/1.